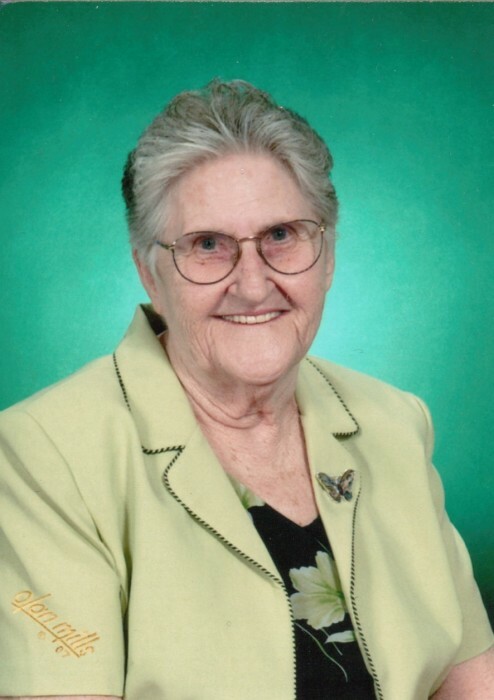 Emma Ruth Smith Wooten, 88, of Chattanooga, TN, passed away peacefully and surrounded by family in her home on Wednesday, March 20, 2019. Born on February 4, 1931 in Winchester, TN, she was the daughter of the late Mae Morris Smith and James William Roscoe Bransford Smith. She was preceded in death by Charles Clark Wooten, her husband of 54 years, Shirley Louise Miller, daughter, and Charles Lee Wooten, Son. She is survived by one daughter, Sandra Jean James of Chattanooga, TN, three sons Kevin Lynn Wooten of Ft. Oglethorpe, GA, David Allen Wooten of Hixson, TN and Timothy Wade Wooten of Knoxville, TN, 12 grandchildren, 18 great-grandchildren, and 6 great-great grandchildren. Visitation will be at Moriah Baptist Church in Ft. Oglethorpe, Friday, March 22 from 4 p.m. to 8 p.m. and Saturday , March 23 from 10:30 a.m. to 11:30 a.m.
Pastors Randy Lynn and Larry Meade will conduct the funeral service Saturday March 23 at 11:30 a.m. in the church. Interment will be in Montgomery Cemetery, Cowan, TN.